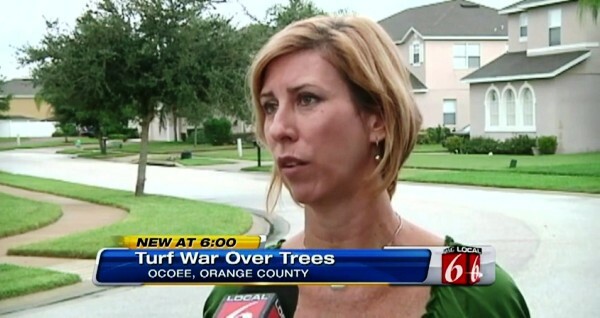 OCOEE, Fla. - An Orange County homeowner's association hosted a meeting on Monday to discuss its plan to cut down as many as 455 trees lining neighborhood streets because the roots are breaking apart the sidewalk, creating potential lawsuits. 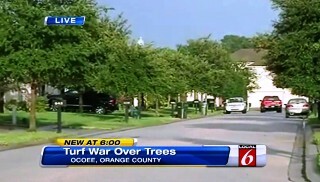 Local 6 first reported the HOA said the tree roots are damaging sidewalks and causing injuries at Westyn Bay, a gated subdivision in Ocoee, last week. Since it's a gated community, the HOA is responsible for maintaining the sidewalks and not the city, meaning if someone trips and gets hurt, the HOA can face lawsuits. The HOA board recently spent more than $5,000 smoothing out bumps in the sidewalks and replacing entire sections of pavement, accordingto an email sent to homeowners by HOA president Greg Keethler. "Research and experience of other HOA's and governments shows that this problem will get much worse as the trees mature," wrote Keethler. The HOA recently decided to cut down trees in order to minimize repair and liability costs. However, homeowners will be allowed to keep the tree in front of their home if they sign a document agreeing to maintain the sidewalks and pay for additional liability insurance, according to the HOA attorney. final decisions to get rid of the trees. “We moved into this neighborhood for the tree lined streets that was part of the attraction of the community,” said Haughwout. “If they cut down the trees, that's an irreversible decision." HOA board members haven't changed their minds completely, but are giving homeowners in the Westyn Bay community some hope. In a compromise, the HOA is telling homeowners they will be covered under the HOA's liability insurance if a sidewalk breaks.